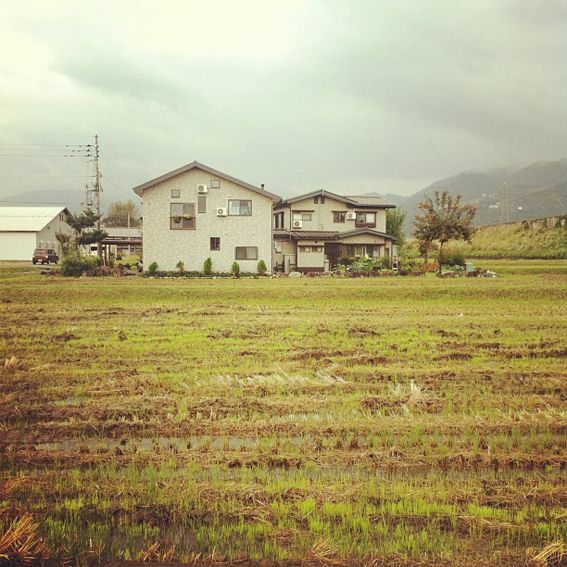 We just got back from an amazing weekend in the rice fields of Niigata. I was thrilled to be invited to host a workshop at Merry go round, a sweet little cozy venue right in the middle of the rice fields. 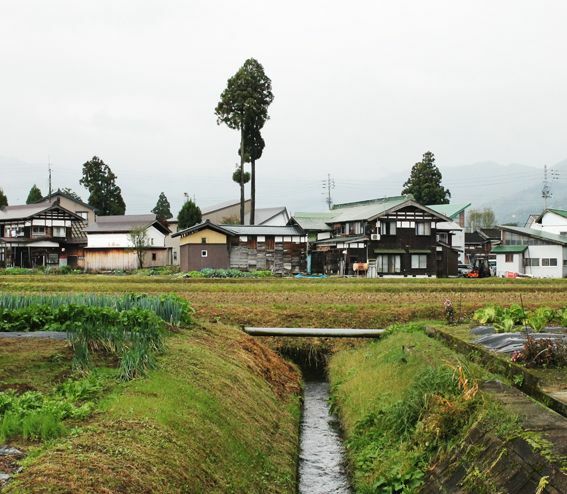 For me it was a dream to be able to escape to the countryside for a moment. 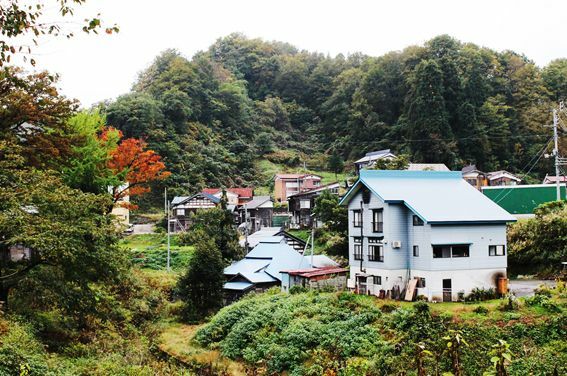 I love love love Tokyo but I also truly adore Japanese inaka (country side) and could really see myself living here for a little while. 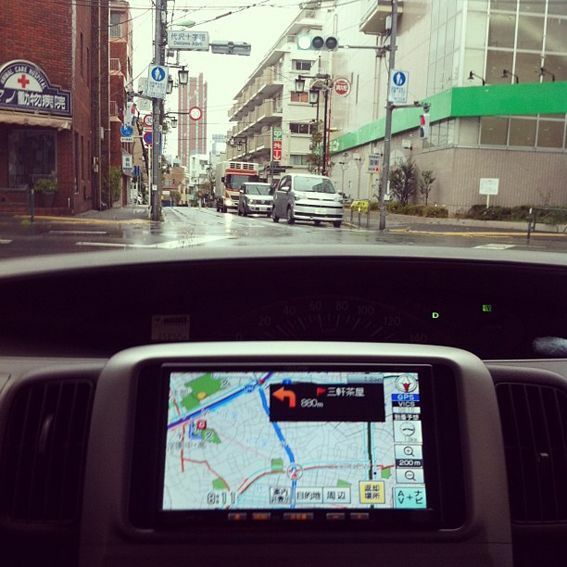 So we rented a teeny car from Shimokitazawa and headed off as the Typhoon was due to approach Tokyo. I was dressed in cozy jumpers and was talking so much the windows were fogging up. We plugged the music in, set the navi and set out. First stop, Sangengaya, to pick up Luke. It's funny how you get so used to riding bikes in Tokyo and you don't notice that particular streets are, in fact, one way. A few u-turns and reversing up some tiny Setagaya-ku streets we eventually made it to Luke. He was standing sheltered from the rain carrying only a tiny back pack and snacks bag. Boys travel so light. 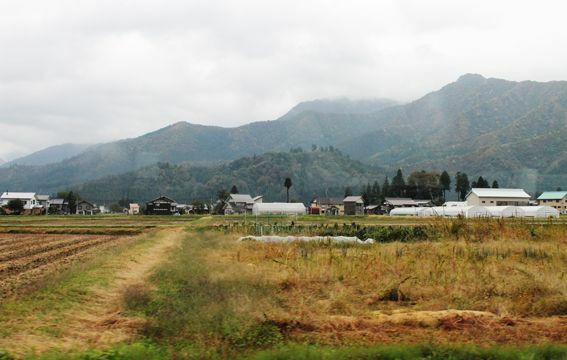 I usually travel by train in Japan so it was a lovely novelty to travel via car for a change. I spent much of the trip trying to remember kanji on the number plates on the cars in front of us. 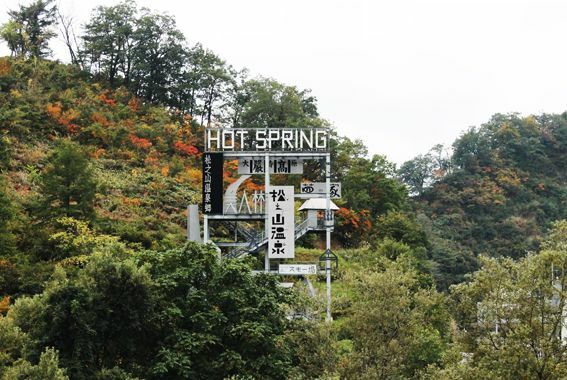 Here's some trivia for you: rental cars have number plates starting with 'wa' hiranaga, Tokyo has three number plate areas (the coolest being Shinagawa), commercial vehicles have green number plates and small engine cars have yellow number plates. (For those who want more please look here) The things you do to pass the time on road trips. And to keep the driver from falling asleep. Luke also told a lot of jokes upon request, but was disappointed that we didn't get them and soon gave up on us. Another highlight of the drive was the road side service areas. They are kind of wild in Japan. A little bit school cafeteria and a little bit pachinko palour with food ticket numbers being called out loudly, teamed with the mixed fragrance of ramen, tempura, curry and coffee. We made our way through the steaming huts selling pork buns, oden and shumai and secured some seats. I love the way you can leave your bag on a table in Japan and it will be there when you come back with your fast food tray. It was only 10:30am but we soon found ourselves at a table eating a only-at-a-Japan-road-side-diner-combination of hot dogs, shumai and coffee. For some reason I was convinced that it was hilarious that the back door and front door opened up completely so there was no pole or anything between the passengers seat and the back seat. Each time we would return to the car I went into some kind of crazy laughing fit. Embarrassingly, I think I even laugh-snorted at one stage. Very curious. Stir crazy from being in the car for too long, let's hope. 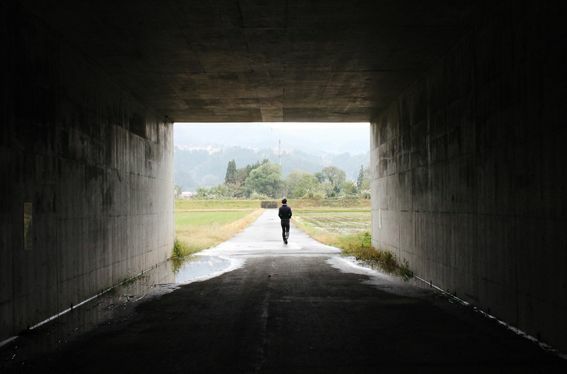 Do you know the Japanese drama Kodoku no gurume? It's my favourite! 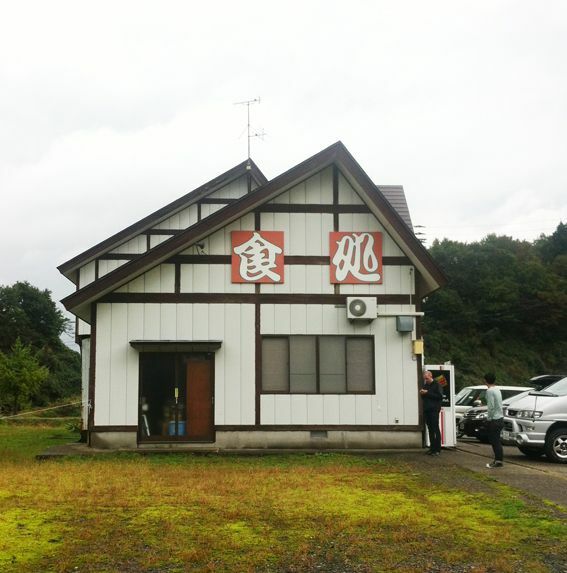 When we finally made it to Niigata we had lunch at the road side restaurant from this episode. If you watch from 14:10 you can see the restaurant. 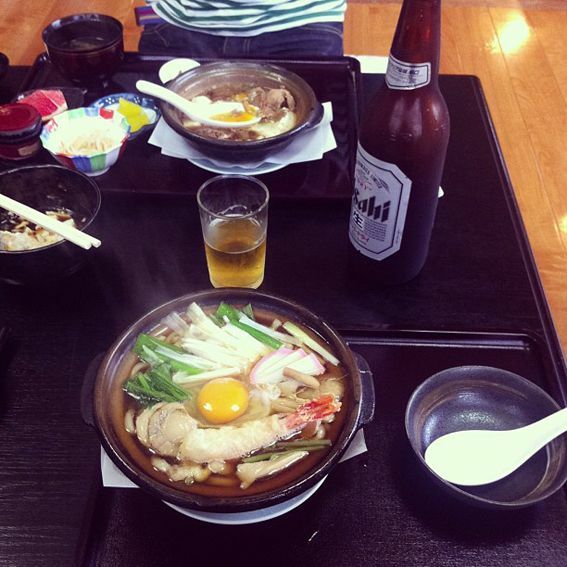 We sat on the tatami mats you can see in the background and enjoyed udon, fried tofu, tempura, onigiri and beef stew. It wasn't until we were putting our shoes back on after leaving the tatami area that we spotted the signature of Goro (the star actor from Kodoku no gurume). Watching the drama I noticed this classic stereo was in the exact same place as in reality. 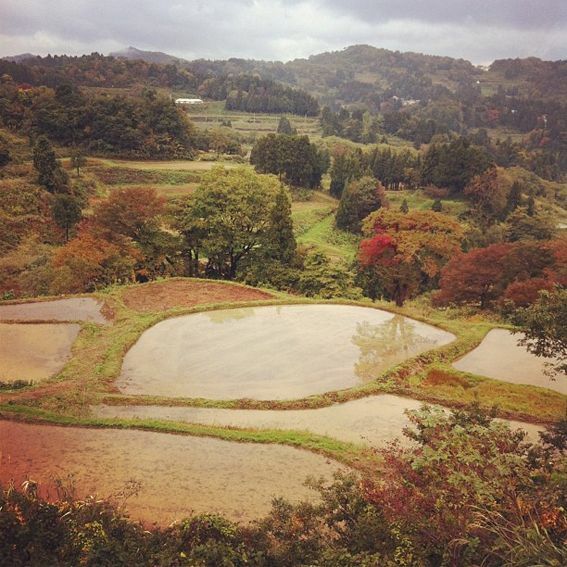 Back in the car and after only a few minutes drive we came across this gorgeous rice field view. It was only me who got out of the car for this shot. No one really wanted to stop here either, but I thought these houses were way too picturesque not to instagram. 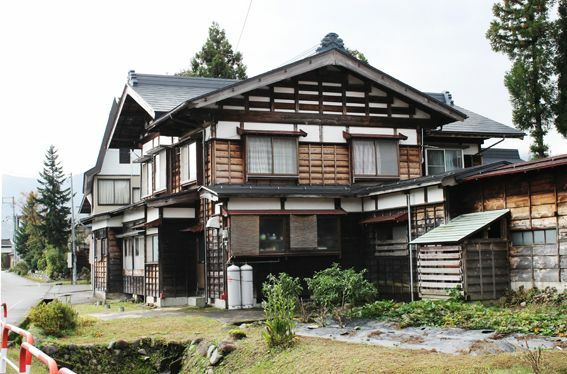 Incredibly beautiful old Japanese house. I took photos for as long as I could before I was noticed by some local residents. We were after some cheese to have with breakfast but couldn't spot a convenience store or supermarket anywhere. The only place we could find was a giant booze shop. 'They might have snack cheese', we thought. 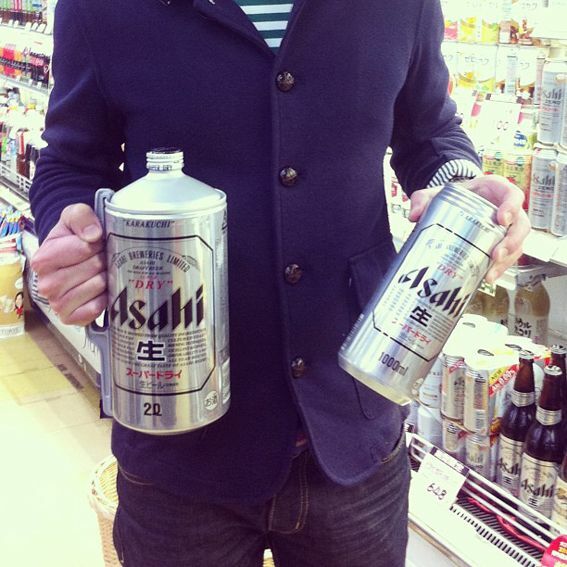 Alas, no cheese, but we did find these giant Asahi cans. So this is where we stayed! Upon arrival there was a log fire burning in a cozy room fitted out with beautiful timber. 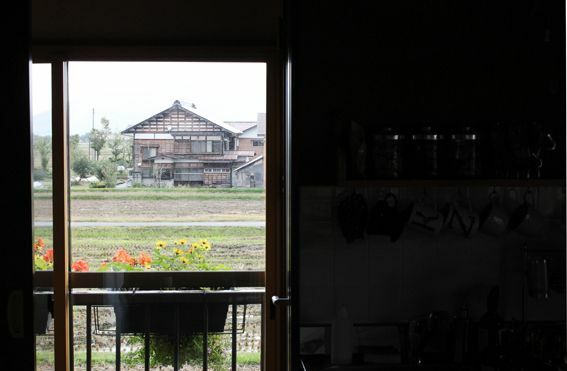 Our host, kumi-chan was standing by an open glass door to greet us. Moments later the door of the adjacent house opened out and Kumi-chan's mother and children also joined the welcome committe. It was so beautifully welcoming. 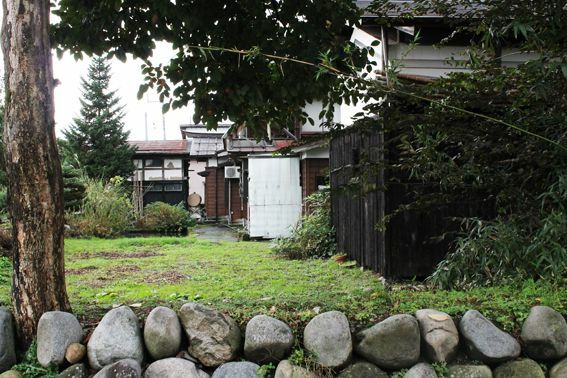 That night, Kumi-chan and her family moved next door to her parents house and left her entire home to us to use freely. 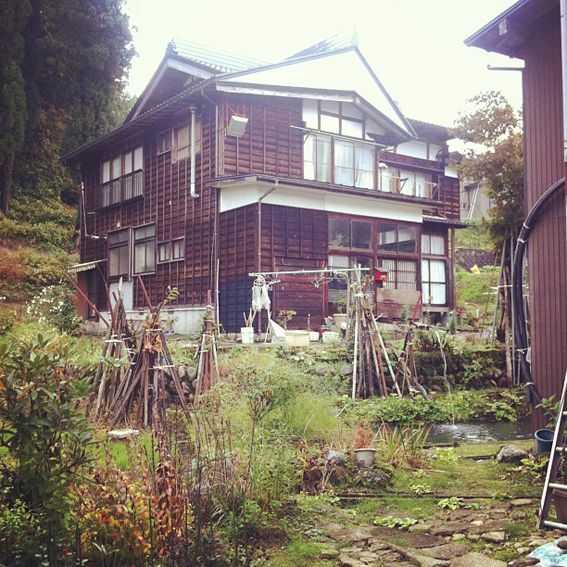 Kumi-chan's house was huge. The genkan itself almost bigger than our Tokyo apartment. 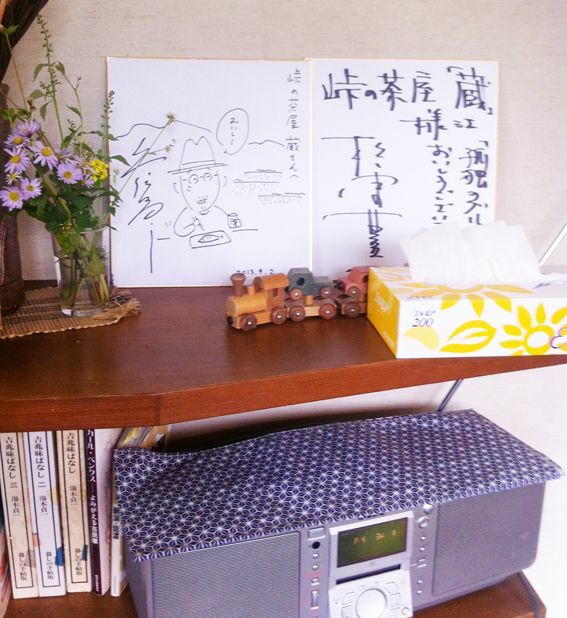 We unpacked the car (mostly craft stuff for the workshops) and within 30 minutes, the boys had made themselves at home watching Kumi-chan's Jamie Oliver DVDs and drinking red wine while Kumi-chan and I set up a mini Hello Sandwich exhibition of craft items from my Japanese craft book. 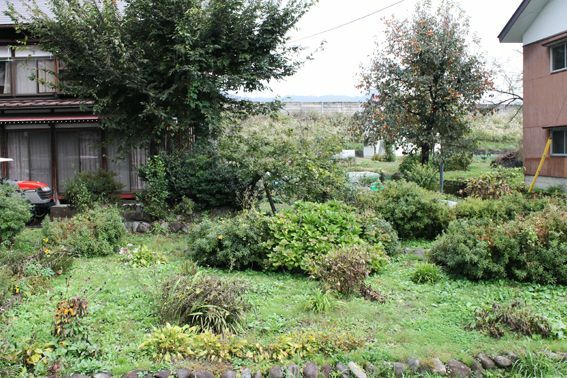 You can imagine just how welcoming Kumi-chan and her family were to have been able to just make ourselves at home so easily in her space. One of those beautiful things about life. Kumi-chan and I set five workshop stations in the downstairs timber room and five upstairs in the kid-friendly room and then it was time for a short break before dinner. 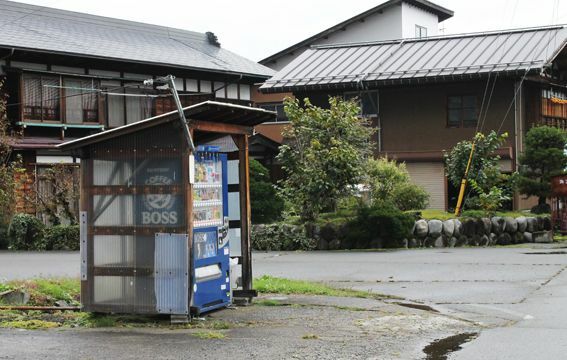 Kumi-chan's husband is a manager of two local restaurants in the area, one Italian and the other Japanese. 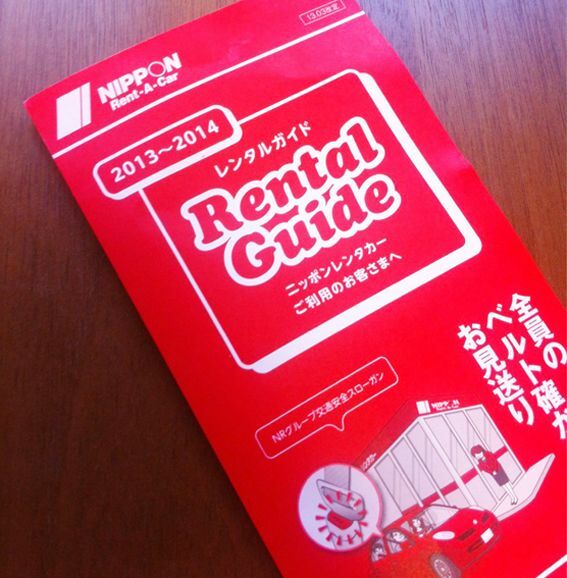 We decided on the Japanese one and all set out in Kumi-chan's car. Compared to Tokyo it was pitch black. Makuro. 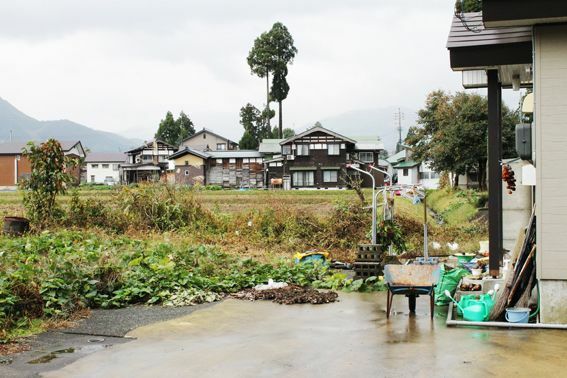 Kumi-chan wove in and out of the streets, driving through car parks and rice fields. It was so black she could have been driving blindfolded but her speed impressively showed her knowledge of the area. 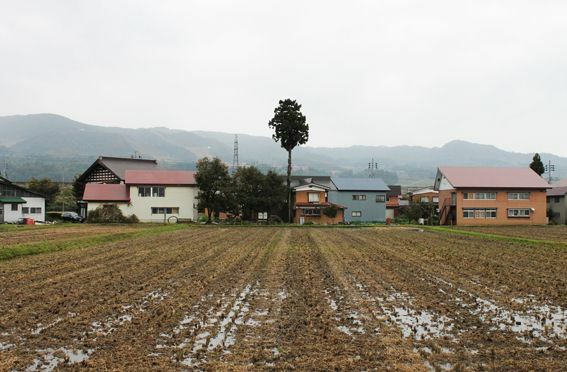 It wasn't until we arrived at the restaurant, Kometaro, which apparently has the worlds best rice, that Kumi-chan told us she was going to have to just drop us off because her daughter was ill. She insisted on picking us up, but we insisted on getting a taxi back to her house. 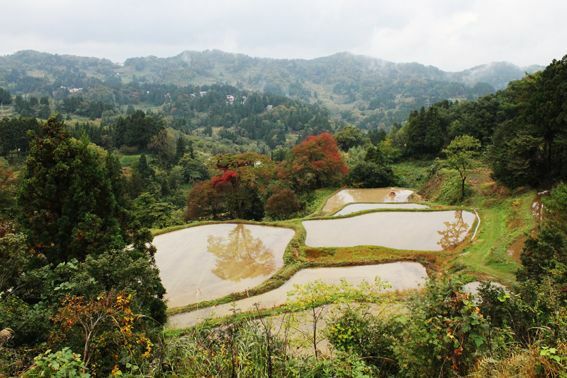 We weren't dissapointed by the worlds best rice. And we ate probably the best tonkatsu of my life. We went from spotting giant Asahis to drinking 'thimble sized beers'. Hands are shown for scale. "Are you going to instagram that?" 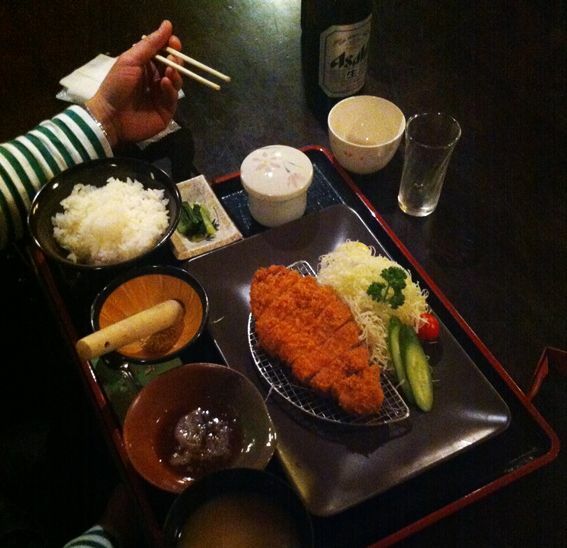 "Because it would be so funny if you instagrammed pork katsu"
When we asked for the bill they wouldn't allow us to pay. Kumi-chan's husband had arranged for it to be taken care of! 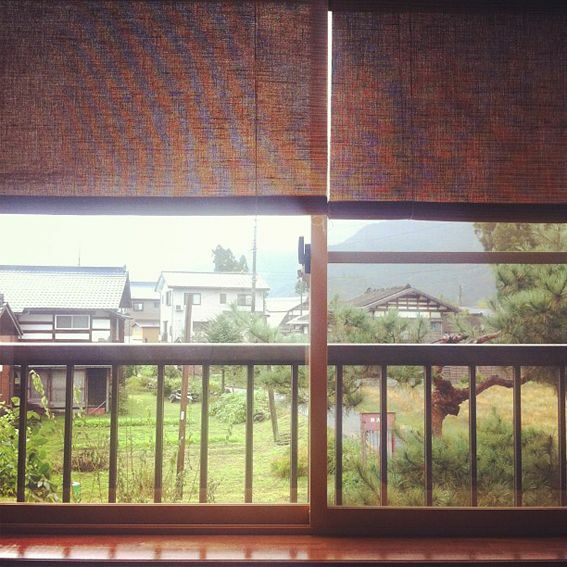 We slept on tatami mats in a little loft room. It's been so ling since I've slept on tatami. Sleeping with the scent of the woven mats was divine. Morning comes and this was the view from the breakfast table. 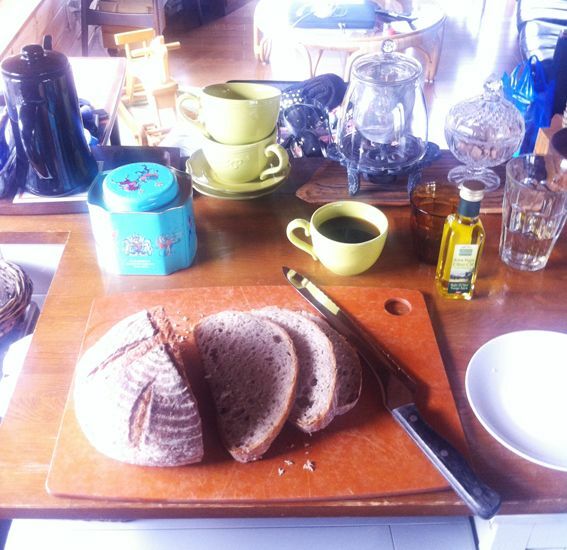 Kumi-chan's husband gave us some bread from his Italian restaurant for our breakfast. I felt amazing cutting up that bread. Great light pouring in. Great company. Slowly(ish) pouring drip coffee for Luke and Mr Y. Standing in the sweetest of kitchens filled with cute ceramics and glassware. 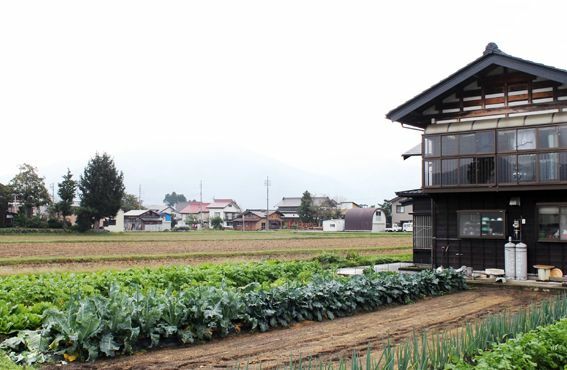 Looking out over rice fields and vegetable patches. Watching Japanese TV. I didn't want to leave. 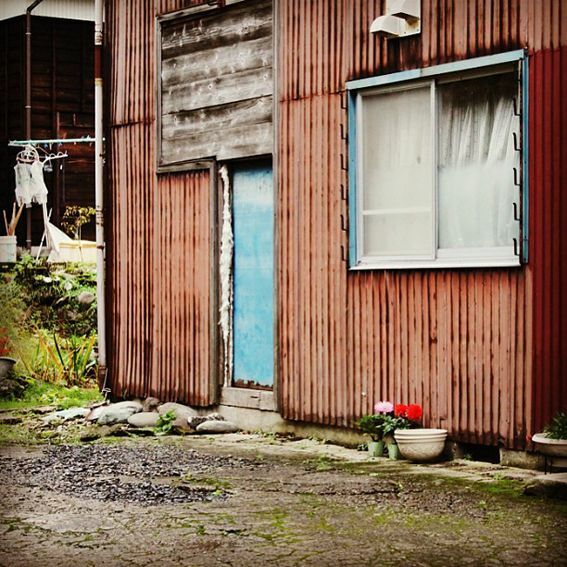 I wanted to stay in that kitchen and live a happy humble Japanese life. Just next to the kitchen was this lovely view. I stared out of this window for the longest of times. 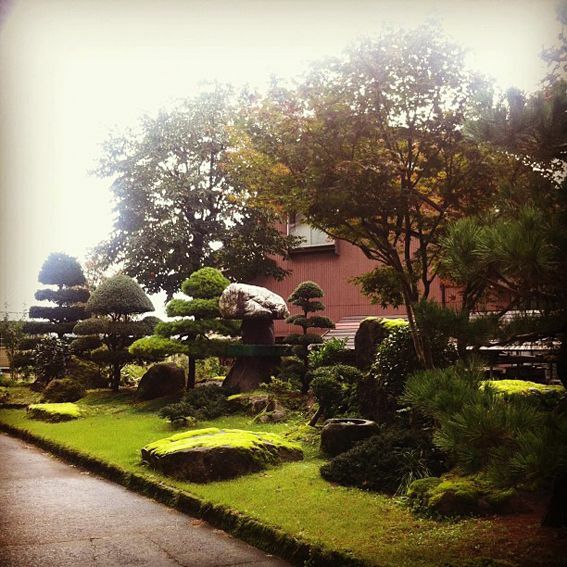 Before my two workshops on Sunday we took off for a short misty morning walk around Kumi-chan's house. 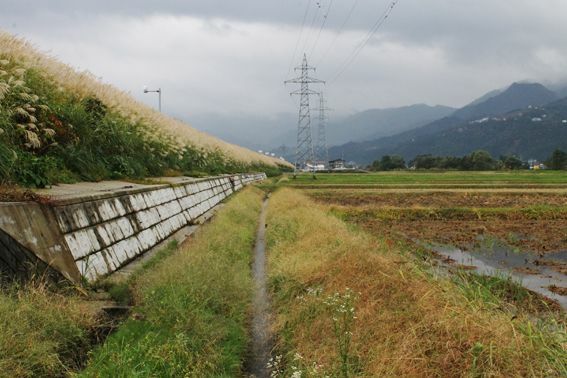 And it was soon time for the Hello Sandwich Niigata workshop with a rice field view! I took this shot just before the first participants arrived. 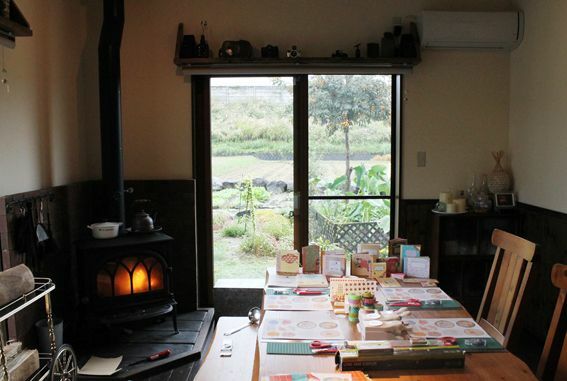 The soup that accompanied our handmade lunch onigiri cooked in the Le Creuset pot on top of the log fire while we made handmade notebooks. 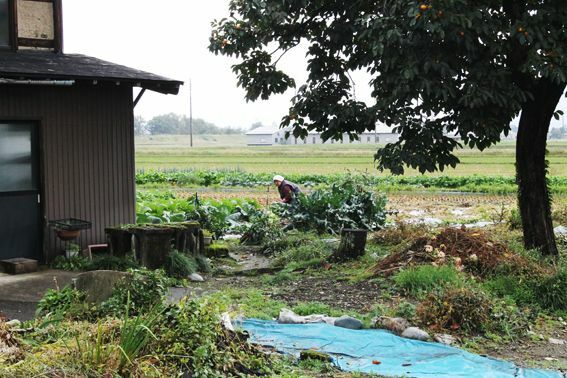 Kumi-chan's 93 year old Obaachan is responsible for the vegetable patch through the door. I packed some Martha Stewart craft punches, of course. The workshops were a lot of fun and the participants were all super lovely. Each participant made a lovely mini handmade notebook to use as they wished. 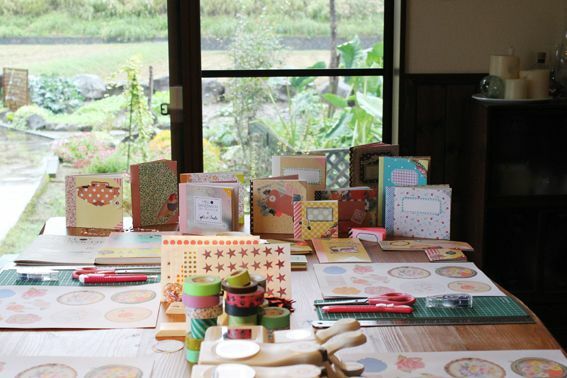 You can see Kumi-chans review and more pics of the workshop here. 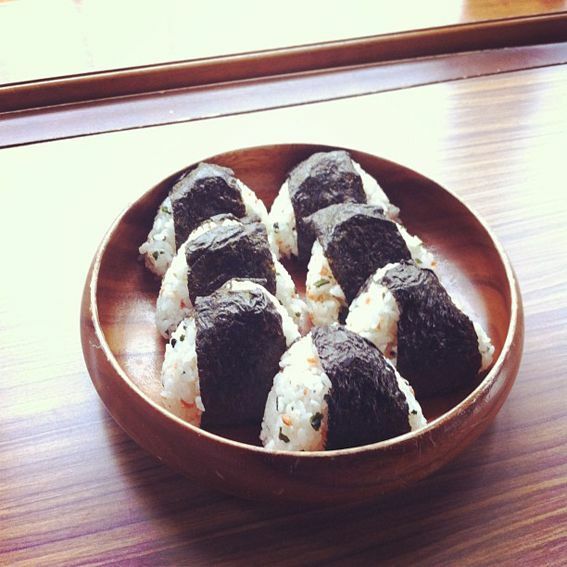 In between the morning and afternoon workshops Kumi-chan served these handmade onigiri with some vegetable and sausage soup. 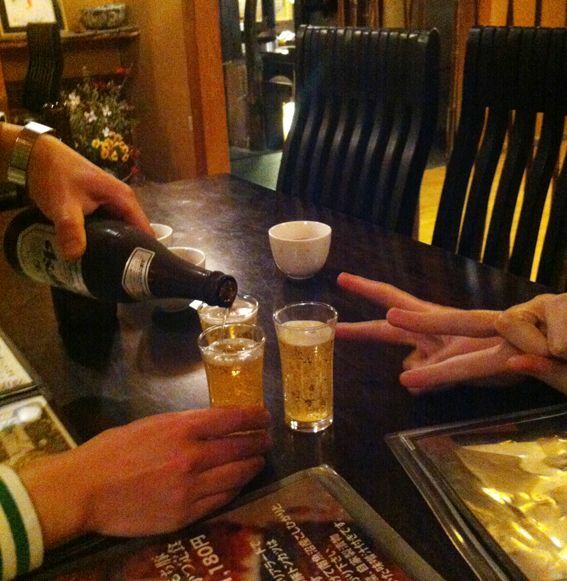 We sat on the floor drinking mugicha and chatting over onigiri. 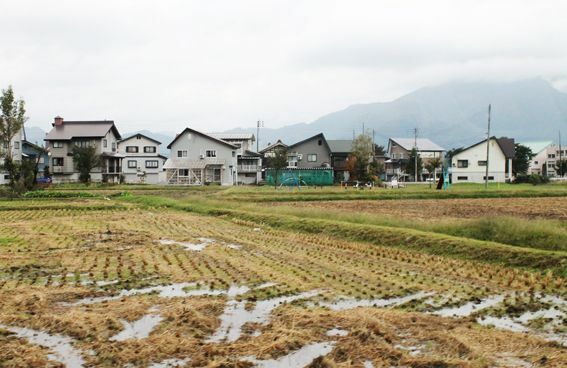 In the rice fields. I couldn't have been happier. It was sad saying our goodbyes after the second workshop. A lot of bowing. A lot of hugs. A sip of coffee. And waving as we drove out of the driveway into the pitch black streets on our way back to Tokyo. 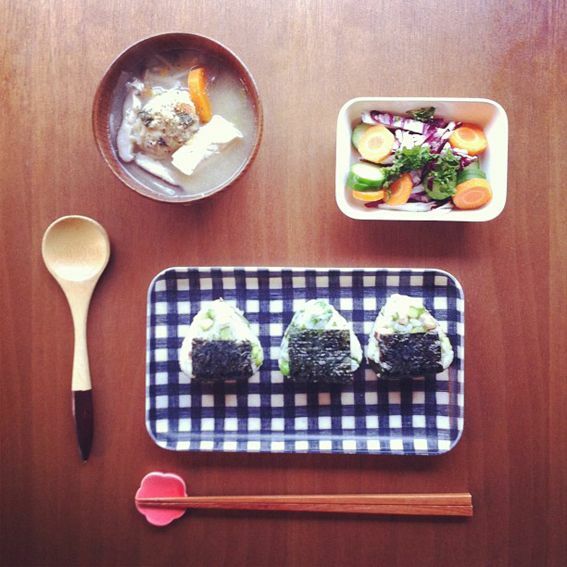 Back in Tokyo and refreshed after a nights sleep I was inspired to cook some onigiri with the new crop (Shinmai) rice. I made half of the onigiri with pea, parsely and spring onions and the other half with shitake, asparagus, spring onion and black sesame. I served the onigiri with nabe of somen, tofu, daikon, carrot, ginger tsukune, shitake, asparagas leaf, cabbage and onion. 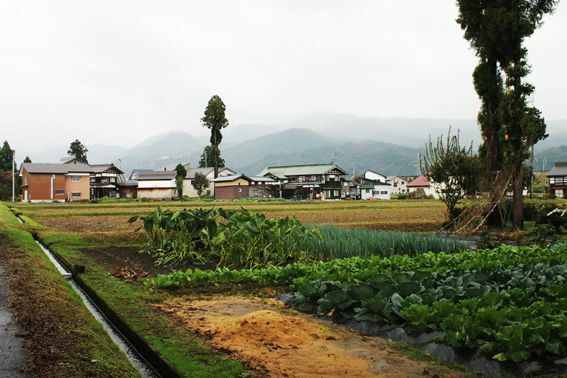 And I sat down to lunch dreaming of ways to visit Niigata again. Thank you so much Kumi-chan!